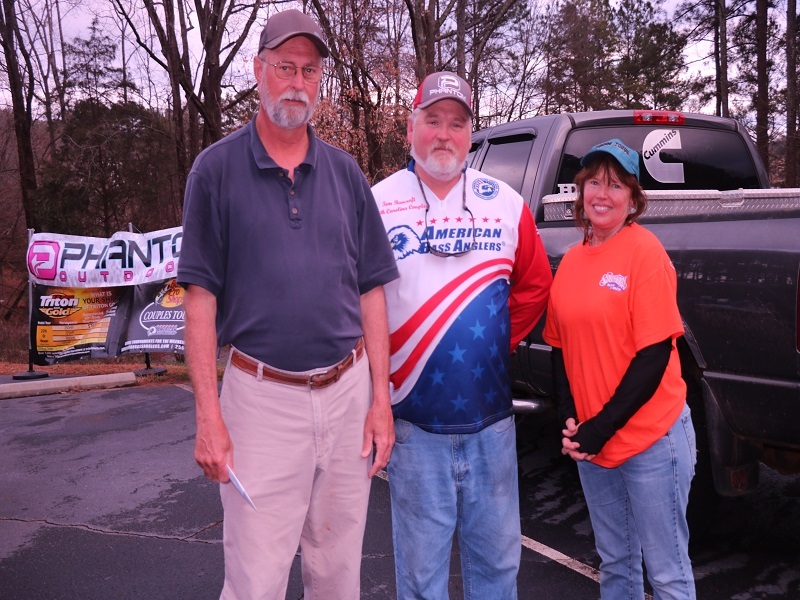 The 4th tournament of the South Carolina series was held on Lake Keowee on February 16th. We enjoyed a nice mild day in February with a lite rain to start the day and bluebird skies in the afternoon. The water temps were in the range from 56 to 65 degrees depending on the area of the lake you were fishing. We had a good turnout of 26 boats. While it was tough for some of us, others had a good day… That’s fishing. 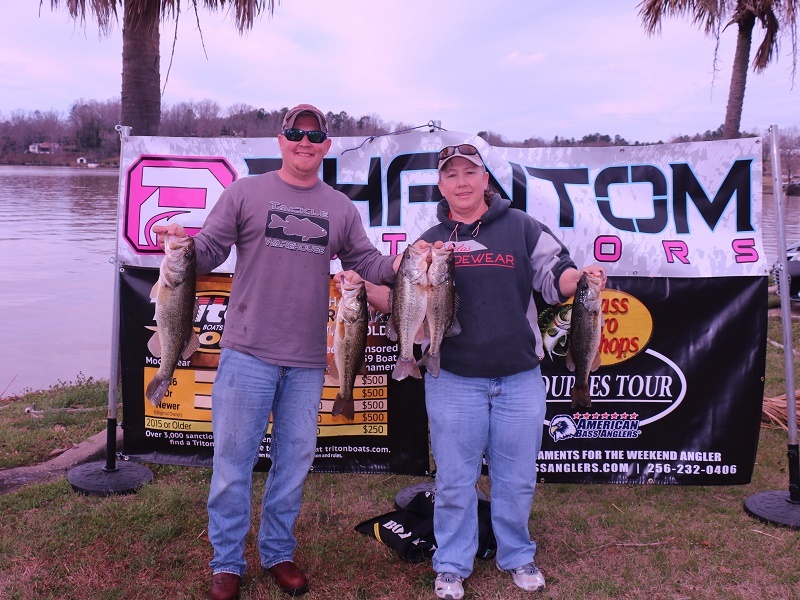 The South Carolina Couples Division 11 has canceled the 12/8 tournament scheduled for Lake Wateree. This decision has been made due to falling lake levels, the ramp and the launch site is inaccessible. We apologize for any inconvenience this has caused and look forward to seeing you all at the next tournament. Our 2nd tournament of the South Carolina series followed up the AFT Championship where the last day was canceled due to weather conditions. We'd like to thank the 13 teams that braved the windy conditions to compete on Saturday. Saturday, June 9, proved a challenging day as 30 teams showed up for South Carolina’s Couples Tournament on Greenwood. A calm 70-degree morning led to a hot and humid afternoon. But these summer conditions did not deter Michelle and Joey Miller. They handily won the event with a solid 5-fish limit weighing 17 pounds. Their success came fishing deeper brush with a “big” worm. 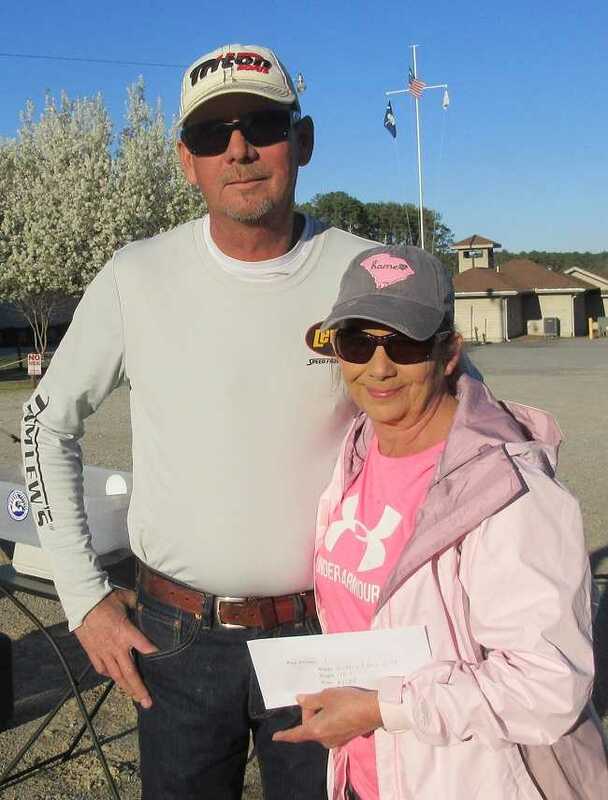 Tricia and Bill Cain took first place honors in South Carolina Couple’s May 19 Lake Russell tournament. Twenty-eight teams chose to go fishing despite the threat of scattered thunderstorms, and the day proved pleasant and dry. All teams at weigh-in had 5-fish limits. They all did an excellent job caring for their fish during the day. 97% of these were released to be caught again another day. 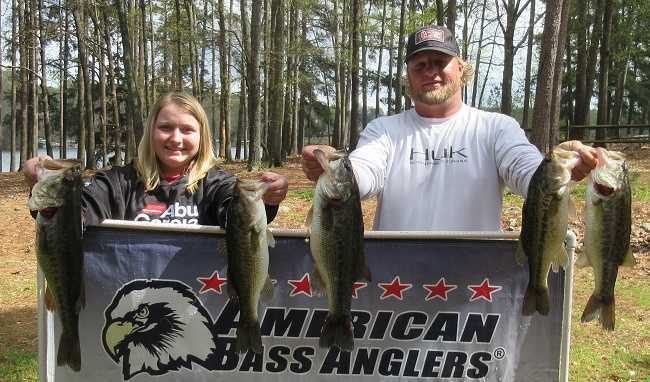 Hannah and T.J. Souther won the American Bass Anglers Couple's South Carolina April 28th on Lake Hartwell with 14.9 pounds. The couple's fish were caught mainly in shallow brush. One key to their success was Hannah’s Big Bass (and tournament big bass) of 4.2 pounds, which she caught working a spinnerbait. Thirty-two teams ignored the all-day forecast for rain. 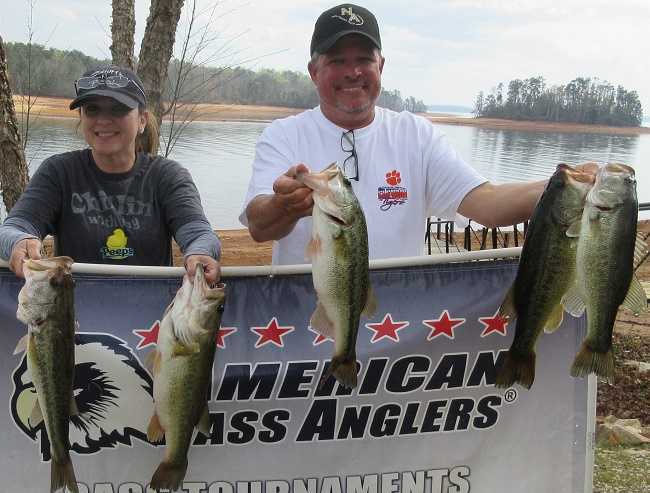 They showed up for South Carolina Couple’s April 7 tournament on Lake Keowee. 132 fish were brought to the scales and released healthy and happy to be caught another day. 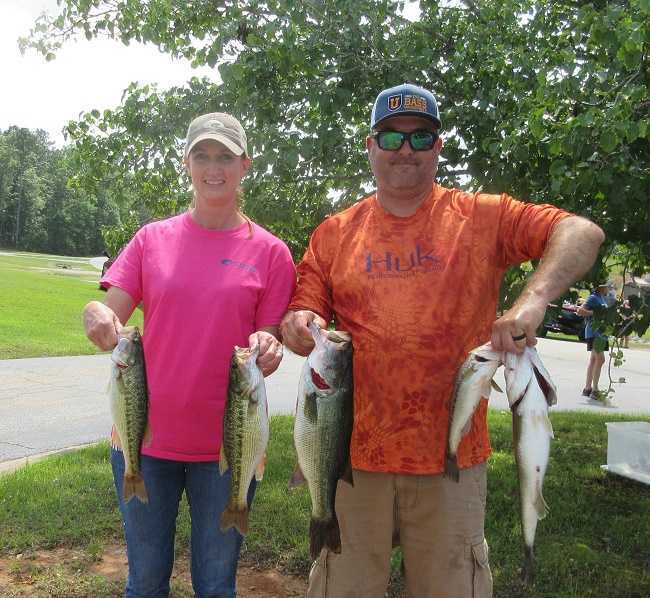 Shianne Parker and Joe Anders claimed first place with a 5-fish sack weighing 15.4 pounds. 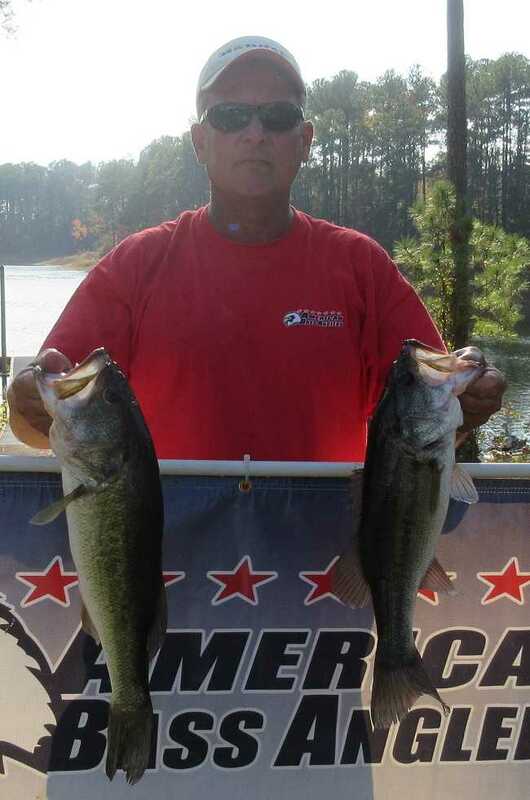 Joe said they caught fish on a topwater frog and a Senko. Their hefty sack was pretty clear evidence that the fish don’t care that it’s raining. Forty-four teams braved the chilly conditions on Lake Murray for South Carolina’s March 3 Couples tournament. Participation was a new high for the division. A few 80-degree days 2 weeks prior to tournament day had the fish moving shallow. But, a few days of near freezing temperatures with high winds made anglers adjust their approach. 135 bass were brought to the scales with all of them being released alive. Seven bass over 5 pounds were weighed. 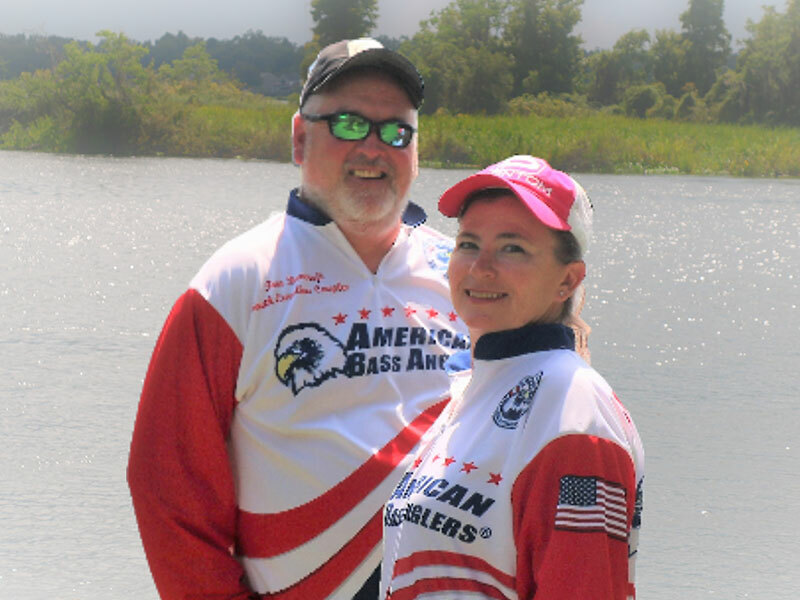 Thirty teams turned out for South Carolina Couple’s 2018 season opener on November 4. The Clarks Hill tournament launched from the excellent Dorn facility. The weather was comfortable as the predicted scattered showers did not develop. Half of the field weighed solid 5-fish limits. 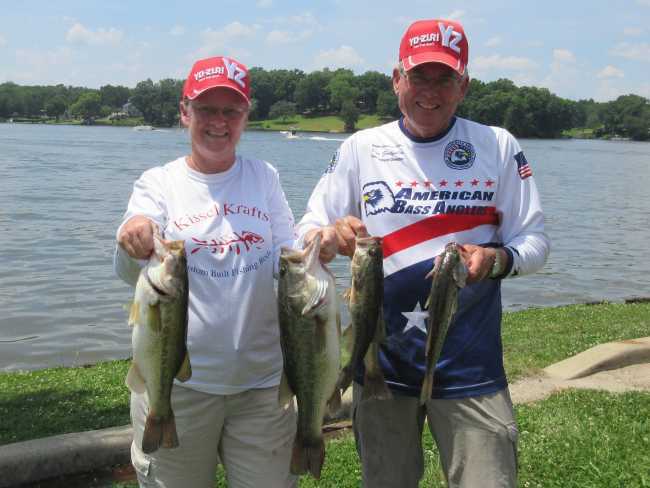 Seventeen South Carolina Couples teams showed up at Lake Greenwood’s One-Stop Marina early Saturday morning, June 3rd. A comfortable 65 degree morning led to a 90 degree afternoon as early summer in the South revealed itself. 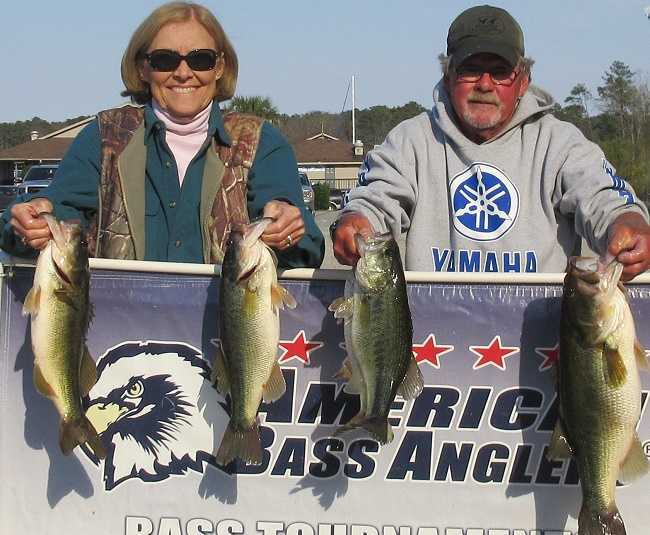 Martha and Don Goodfellow claimed first place honors with a 5-fish sack weighing 12.3 pounds. Martha’s 4.8 pounder took Ladies Big Bass honors. Her big fish was caught with a Zoom Ol’ Monster worm in 5 feet of water. Of course, Martha had to shamelessly acknowledge the sensitivity of her Kissel Kraft rod and efficiency of her Lews reel in hooking and landing the fish. Other fish in their sack were caught with a buzzbait, surface “popper,” and worms early in the day. 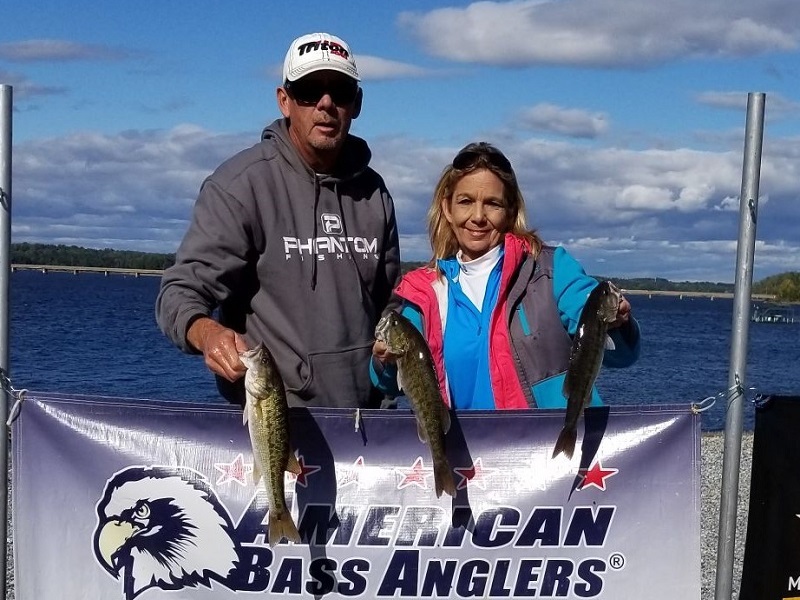 Martha and Don were particularly surprised that this was their first regular season win in a decade fishing the Couples Series. 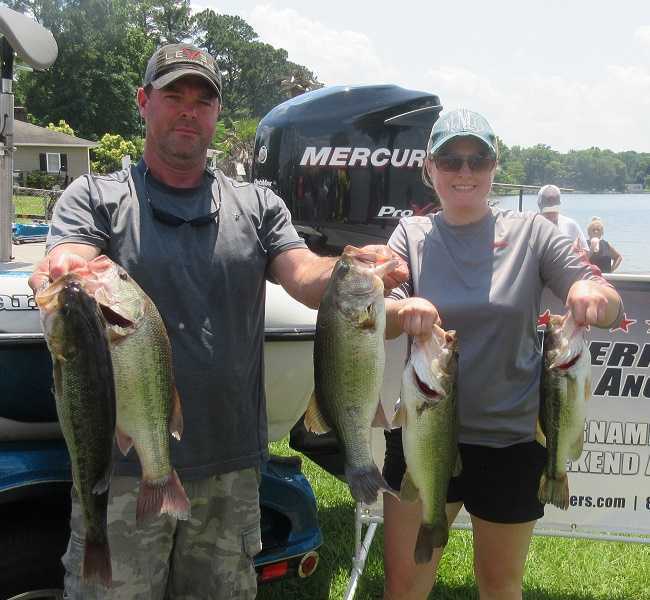 South Carolina’s Couples Series hosted a tournament on Lake Russell on Saturday, May 20. Twenty-two teams showed up for the 6:00 am safe-light blast-off. April 8th was a beautiful day for South Carolina Couples. Storms and high winds earlier in the week settled down for a pleasant Saturday. All the twenty-four teams caught fish. 114 fish were weighed with 100% released to be caught again. It was a beautiful spring day on Lake Hartwell for the South Carolina Couples on Saturday, March 25. Twenty-five teams enjoyed the outdoors, fellowship and some good angling. 115 bass were brought to the scales with 100% released to catch another day. Thirty-two South Carolina Couples launched from Lake Murray’s Lighthouse Marina on March 4th. It was a cold and crisp 30 degree winter morning. Nature provided a pleasant 65 degree afternoon for weigh-in. All of the 111 bass brought to the scales were released alive, healthy and happy. The great turn-out provided the opportunity to pay 6 places. 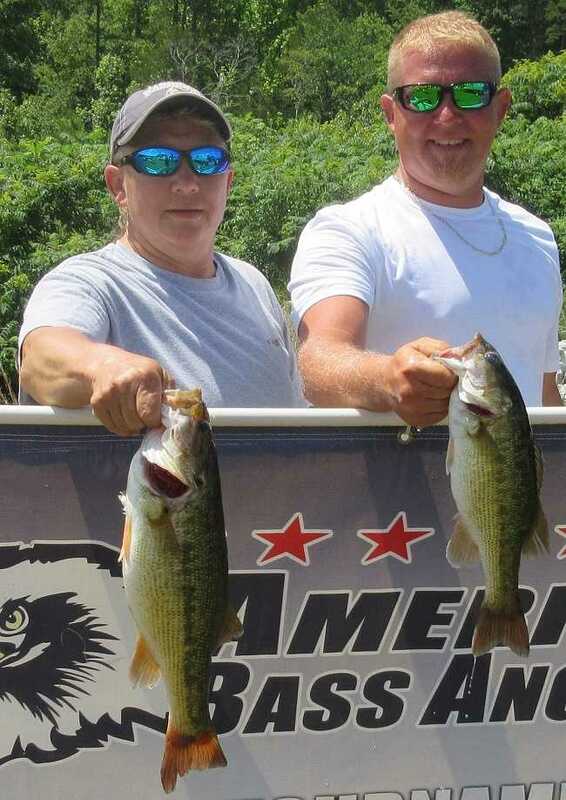 Ann and Ben Lee of Lexington, South Carolina claimed first place with a hefty 20.4 pound sack. Anchoring their 5-fish bag was Ben’s 7.1 pound Men’s Big Fish. They caught their fish flipping a jig to docks and wood.